Australian institutions seem to be under attack with about 49 notifications of data breaches in the private health sector and 36 in the financial sector as of June 2018! These are actually notifications made to the Office of the Australian Information Commissioner under the Notifiable Data Breaches scheme that started in February this year (if you want to learn more about the Data Breach scheme, have a look at our blog post here). Each represents either a malicious or a criminal attack such as phishing, ransomware, malware, or even brute-force. The main target of these attacks is personal information (financial details, phone numbers, home addresses, email addresses, health information, and more), but according to the institutions’ representatives, only about 100 individuals or fewer were affected by the breaches. Still, there is one data breach that heated things up, where the confidential information of about 1 million people was put at risk. Known as the PageUp data breach, this one exposed records of people looking to get new jobs, recruitment records, and more. 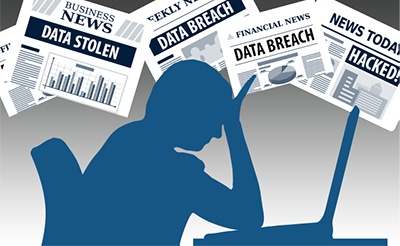 Overall, the Australian Information Commissioner (OAIC) received 242 notifications of data breaches in the June quarter, out of which, 59% were malicious or criminal attacks. Perform a scan on your computers to look for customer details that should not be there. This way, in the case of a breach, if your systems don’t have client data, you may not need to report a data breach. Onsite Helper can provide a free scan for your business and provide a report on what needs to be fixed. Overall, it’s important to continuously update your company’s IT security system, but you also have to minimize the impact of a breach if the worst happens. This way, you protect your company’s sensitive information and reputation on several fronts and you don’t put all your eggs in one basket.